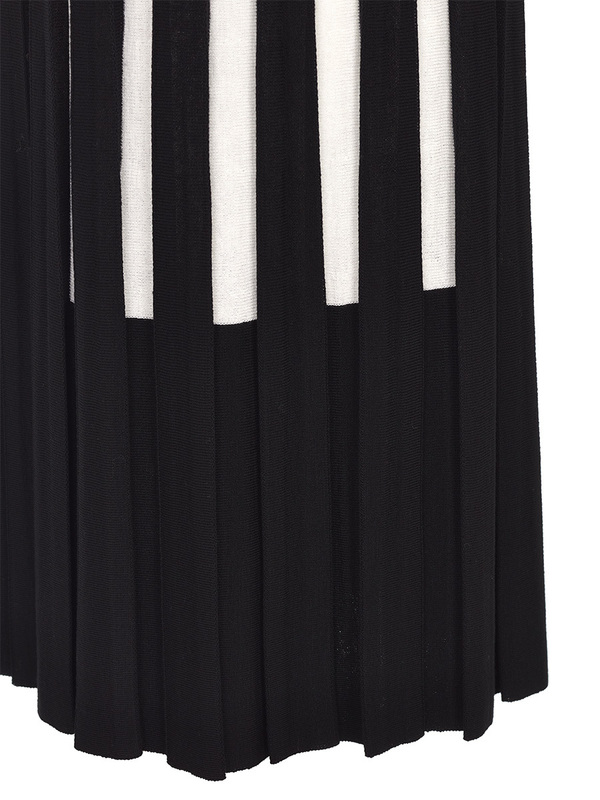 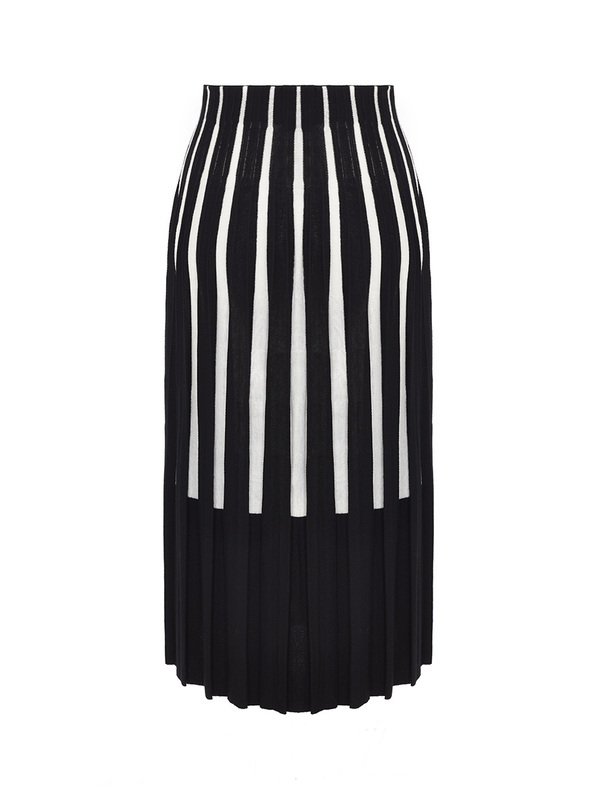 The classic black and white pleated skirt gets a stylish update this season. 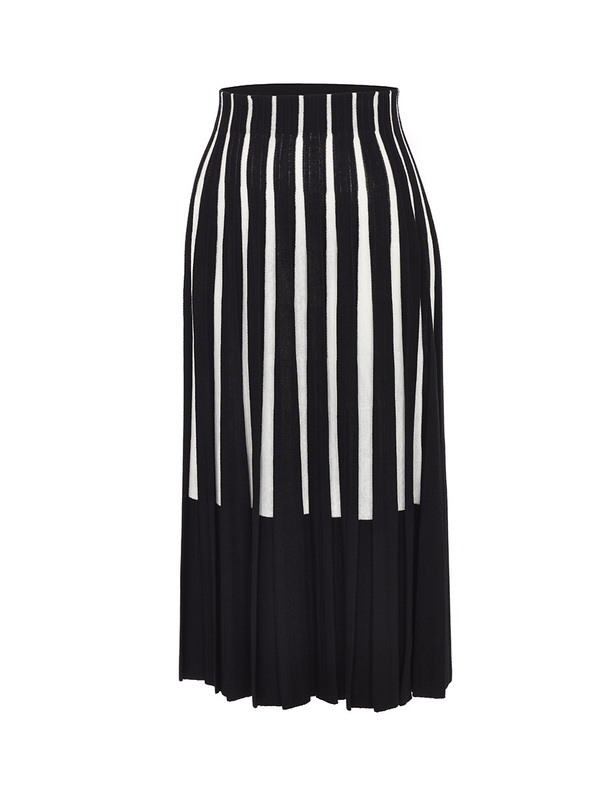 Fitted at the waist, it drapes beautifully over any body type. 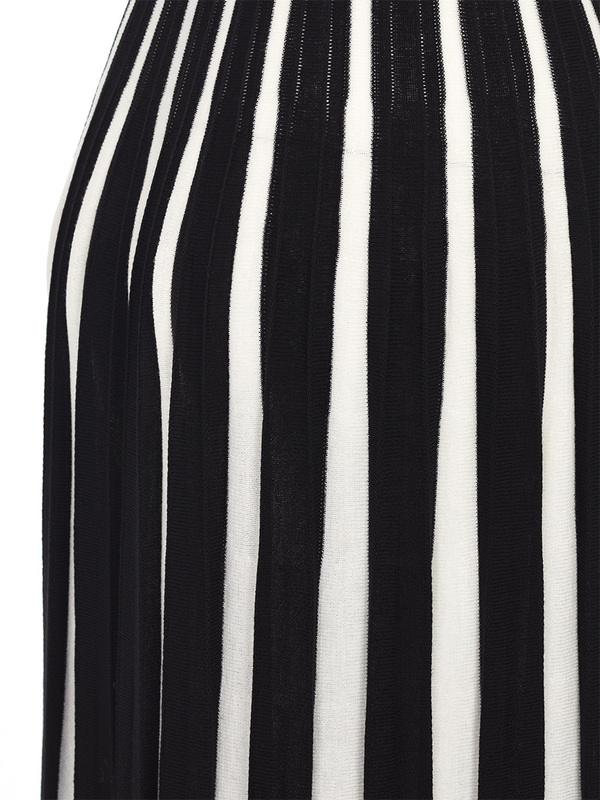 Crafted in Italy from luxurious wool, it can be paired with matching top for a complete look. 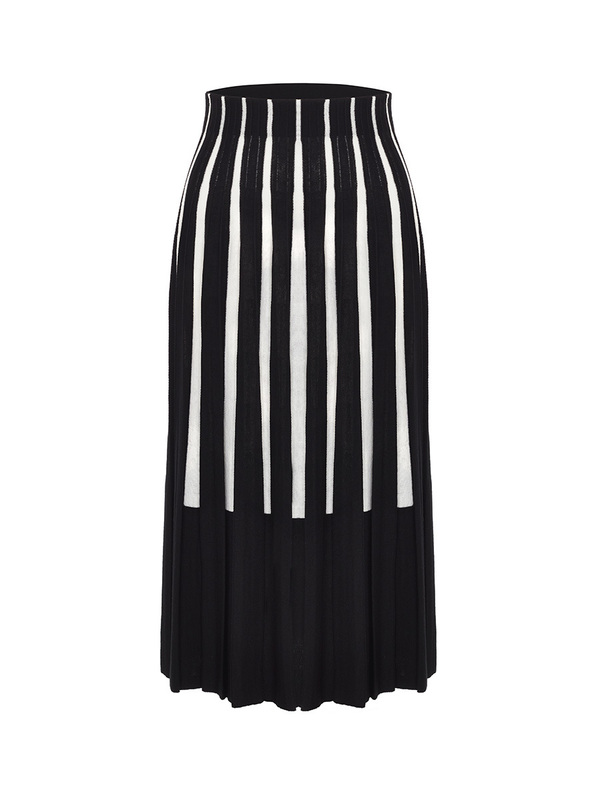 Colour: White Black Made in Italy.